My Italian colleague Agostina Vertino collected this beautiful specimen from the Pleistocene of Sicily and brought it to Wooster when she visited five years ago. It is the attaching base (holdfast) of the octocoral Keratoisis peloritana (Sequenza 1864). Octocorals (Subclass Octocorallia of the Class Anthozoa) are sometimes called “soft corals” because of their organic-rich, flexible skeletons. They are distinguished by polyps with eight tentacles, each of which is pinnate (feathery). Octocorals include beautiful sea fans and sea whips that require a hard substrate for stability. This particular holdfast is on a small slab of limestone. The genus Keratoisis is known as the “bamboo coral” because it looks jointed like stalks of the plant. I collected fragments of Pleistocene Keratoisis branches during my visit to Sicily last year. Giuseppe Seguenza (1833-1889) named the species Keratoisis peloritana. He was a Sicilian natural historian with broad interests, especially in geology. Although educated as a pharmacist, he found geology much more exciting on the volcanically active islands of the Mediterranean. 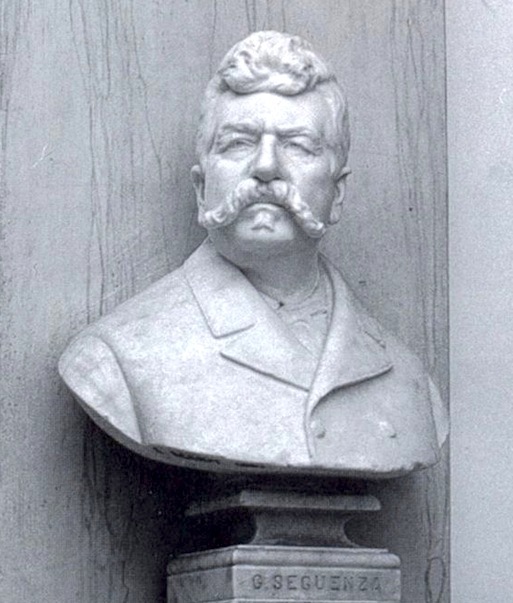 He eventually became a professor of geology at the University of Messina (where the bust of him shown above resides). Italian sources say Seguenza received the famous Wollaston Medal from the Geological Society of London, but that does not appear to be true. Instead it appears that he was given “the balance of the proceeds of the Wollaston Fund” as a donation at the time the medal was awarded to Thomas Huxley (in 1876). The records of the society say that “the stipend of an Italian professor was too small to enable him to prosecute his palaeontological researches as fully as he could desire” (Woodward, 1876). Giuseppe Seguenza died in Messina at 56 years old. Di Geronimo, I., Messina, C., Rosso, A., Sanfilippo, R., Sciuto, F., and Vertino, A. 2005. Enhanced biodiversity in the deep: Early Pleistocene coral communities from southern Italy. In: Cold-Water Corals and Ecosystems, p. 61-86. Springer: Berlin, Heidelberg. Fois, E. 1990. Stratigraphy and palaeogeography of the Capo Milazzo area (NE Sicily, Italy): clues to the evolution of the southern margin of the Tyrrhenian Basin during the Neogene. Palaeogeography, Palaeoclimatology, Palaeoecology 78: 87-108. Langer M. 1989. 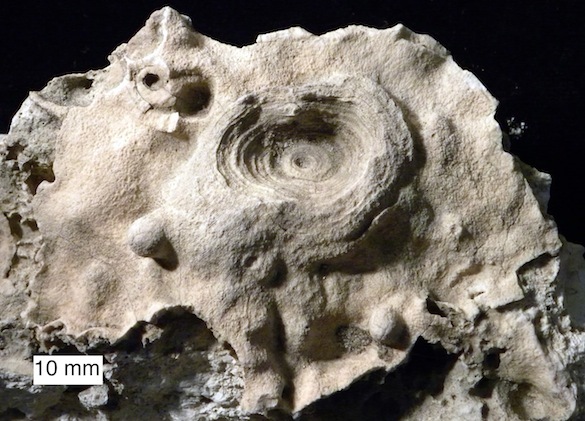 The holdfast internodes and sclerites of Keratoisis melitensis Goldfuss 1826 Octocorallia in the Pliocene foraminifera marl Trubi of Milazzo Sicily Italy. Palaeontologische Zeitschrift 63: 15-24. Woodward, H. 1876. Reports and proceedings, Geological Society of London. Geological Magazine 13: 181-182.